As the dust settles from Magic Johnson’s abrupt resignation from the Los Angeles Lakers Tuesday, unanswered questions around the franchise are trickling in. 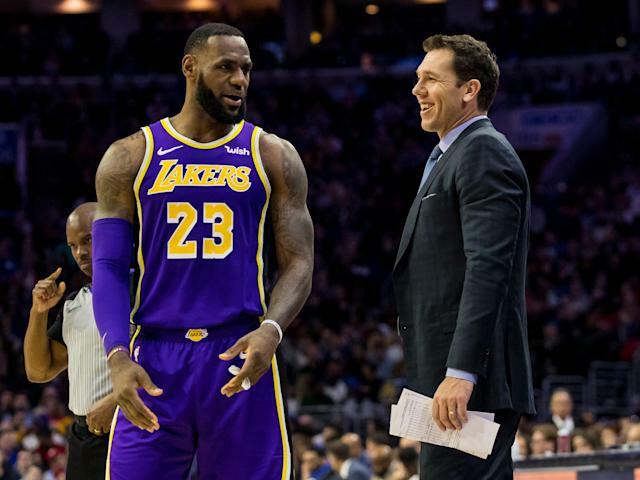 Most recently comes a report that Rob Pelinka will retain his job as general manager and that LeBron James supports owner Jeanie Buss and Lakers management. 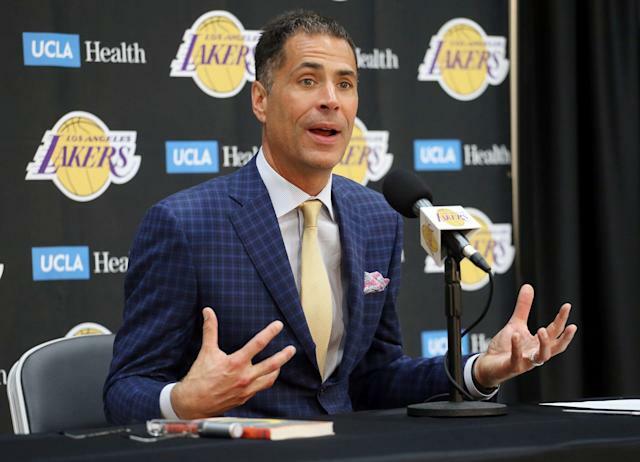 Pelinka, the former agent of Lakers star Kobe Bryant, urged Buss to hire Johnson as president of basketball operation in 2017 and was brought on as Johnson’s general manager shortly after Johnson was installed. Among the many things Johnson said in his impromptu news conference Tuesday included a less-than-enthusiastic endorsement of Pelinka when asked about his thoughts on his former right-hand man. Of course, what Johnson thinks as of Tuesday is of little consequence to Buss’ decision-making moving forward. Shelburne’s report also sheds some light on the thoughts of James, who actively avoided facing questions about the Johnson bombshell after Tuesday’s Lakers season finale. It’s a fairly boiler-plate report from James’ camp as the Lakers superstar has still remained mum on the issue publicly as of Wednesday afternoon. Anything less than James saying he supports the team he’s under contract with for three more seasons would amount to further chaos in Los Angeles. It appears that James, like the rest of the Lakers, is in damage-control mode. The biggest immediate question outstanding concerns the fate of head coach Luke Walton. Walton appeared on his way out the door before Johnson’s departure. Johnson admitted to ESPN’s Rachel Nichols on Tuesday that his plan was to fire the third-year head coach. But again, Johnson’s opinions don’t matter any more. Shelburne reports that James’ agent Rich Paul met Wednesday with Buss and Pelinka, who will ultimately decide Walton’s fate. It’s safe to assume they’ll consider input from James on the matter.